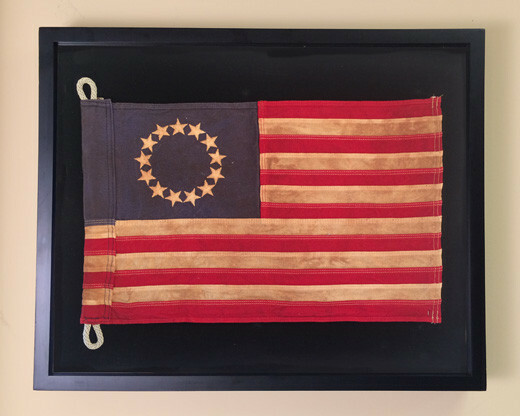 Add a classic historical touch of patriotism to any home decor with this framed Betsy Ross tea stained flag. 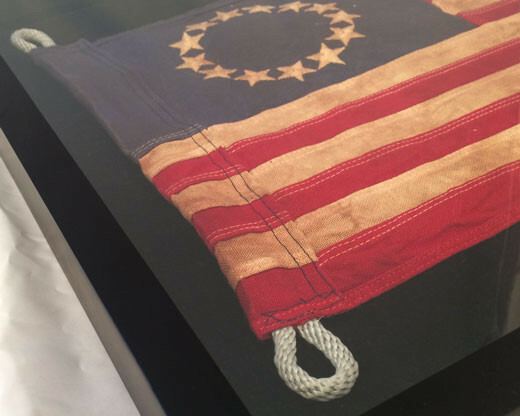 We’ve customized a 12x18 cotton tea stained (for a vintage look) Betsy Ross flag with loops of halyard. 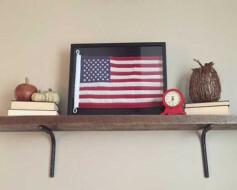 Showcased in a 16x20 shadow box with black backing to ensure the flag grabs all of the attention it deserves. 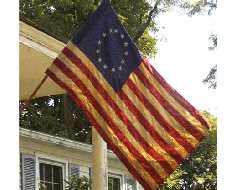 Shop unique patriotic gifts at Gettysburg Flag Works! 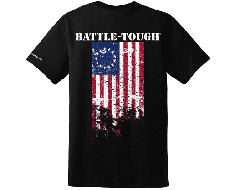 A great gift for that hard to buy for loved one in your life or keep it for yourself to enjoy in your home all year round. 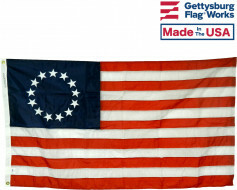 Shop unique patriotic gifts at Gettysburg Flag Works! 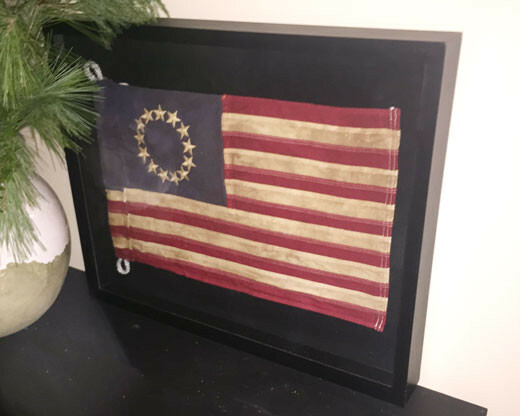 What a great gift for that hard to buy for loved one in your life or keep it for yourself and enjoy the beauty of the Betsy Ross Flag in your home all year round.